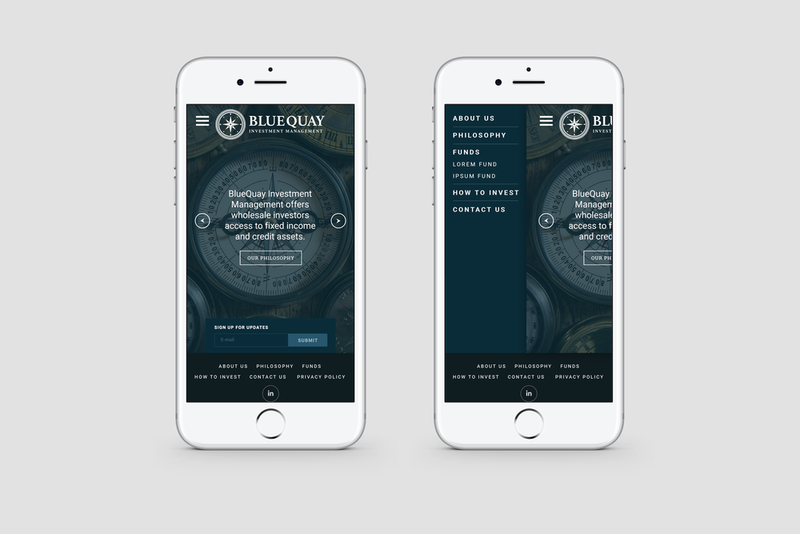 When Pepper Investment Management was renamed Blue Quay Investment Management, we were asked to create the new branding and website to ensure existing clients were comfortable with the change while increasing appeal to the wider wholesale market. The brand still needed to convey a sense of maturity and experience to instil confidence in existing and new clients. Our solution was to create a distinctive brand drawing on sailing and compass references to reinforce the values of thoroughness, credibility, experience and safety. The website featured a contemporary design and easy-to-use functionality.